Simple, gorgeous, and just a little bit daring! 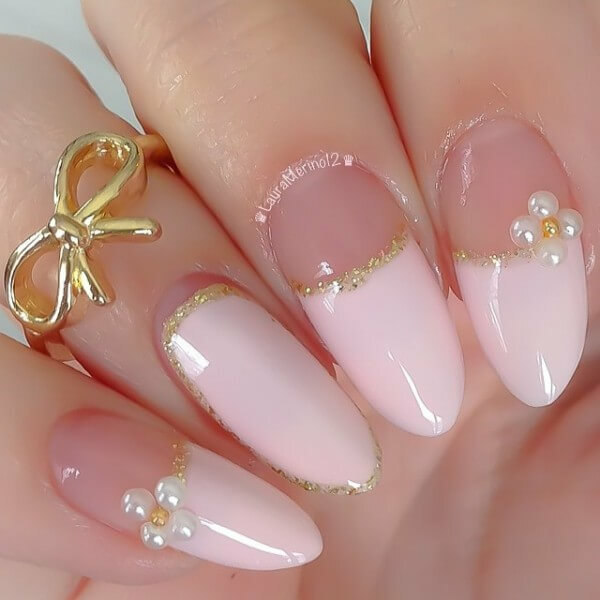 If you’re looking for something a little different for your special day, try these Half Moon Stiletto Wedding Nails by @lauramerino12. She used Ulta “Baby Doll” and Nubar “Gold Striper” for this design, and finished it off with little flower nail charms.